You are here: Home / What Are Thin Places? It’s the most common question that people ask us. What are Thin Places? Thin places are places of energy. A place where the veil between this world and the eternal world is thin. A thin place is where one can walk in two worlds – the worlds are fused together, knitted loosely where the differences can be discerned or tightly where the two worlds become one. Fascination with the “Other world” has occupied our human minds since early recordings of history and likely before that. A thin place pulsates with an energy that connects with our own energy – we feel it, but we do not see it. We know there’s another side – another world – another existence. To some it is heaven, the Kingdom, paradise. To others it may be hell, an abyss, the unknown. Whatever you perceive the Other world or the eternal world to be, a thin place is a place where connection to that world seems effortless, and ephemeral signs of its existence are almost palpable. Truth abides in thin places; naked, raw, hard to face truth. Yet we also find the comfort, safety and strength to face that in those same mystical spaces. Thin places captivate our imagination, yet diminish our existence. We become very small, yet we gain connection and become part of something larger than we can perceive. The human spirit is awakened and will grow if the body and mind allow it. Simply put, a thin place is a place where one feels that mysterious power Ghandi refers to. Ghandi believed (and stated later in the same speech), that the mysterious power was God. This brings us to another characteristic of thin places. They are often marked by human spirits that have gone before, felt the thinness and been changed by it. Thin places not only transcend the senses, but transcend the boundaries of time and space. While you’re there, time seems to stand still, and there is a communion with the human spirits that have walked there before and are yet to walk. Thin places are all about connection – with God, with the Other world and with all who have lived, are living and will live in generations to come. 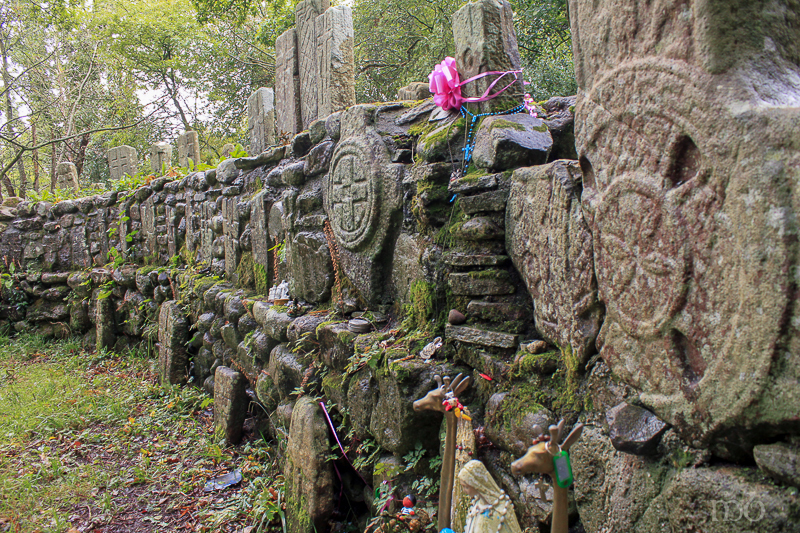 The Pre-Christian and Celtic people of Ireland, Scotland, Wales and England had a keen sense for thin places. The landscape is littered with monuments, markings and ruins that once boldly stated, “This is a thin place. This is holy ground.” The very ground itself seems to call out, “Come here and be transformed.” In a quiet moment, a visitor today can feel the connection with the people whose spirits first marked these spots, and all the pilgrims who have visited since. They are vivid reminders that we are all joined inside and outside of time. The more you experience thin places, the sharper your senses become. Certainly they exist everywhere, in every country, but the power is seemingly strong in Ireland and Britain. Even the most non-spiritual person feels something as they move past or enter into ancient sacred sites. 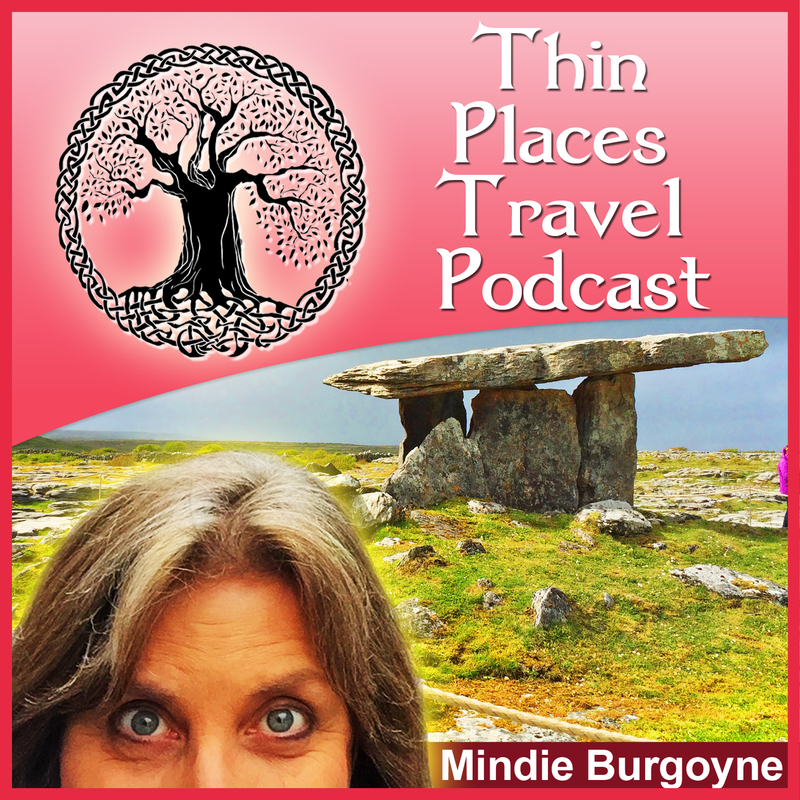 My first experience of a thin place was in Ireland, my first trip there many years ago. I was with some friends driving south into Tipperary. We were doing the typical things tourists do in Ireland, frequenting pubs, historical sites, finding places to listen to Irish music, and frequenting more pubs. Not a spiritually focused group, us. For some reason, the window in the tower continued to draw my attention. My imagination took hold. Without realizing it, I moved into a state of wonder. My friends eventually called out to me asking me how long I was going to keep them waiting. When I returned to the car, they told me I’d been walking in the ruins for almost half an hour. I didn’t sense that passing of time. That little walk in those monastery ruins differed from viewing the Cliffs of Mohr or seeing Yates’ grave. It was more personal, a deeper experience. I have been back to Ireland many times since. I’ve never been able to find that monastery again, though I have search for it on every return trip. I did return to the Rock of Cashel. 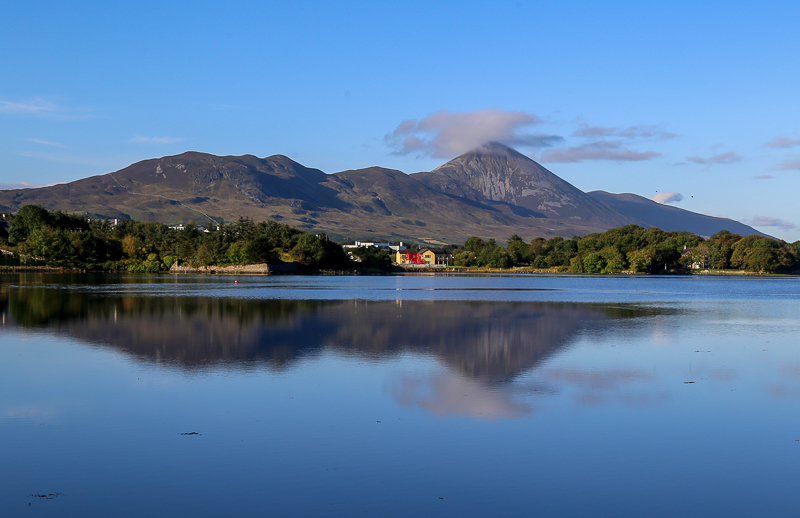 In fact, I rarely make a trip to Ireland that doesn’t include a visit there. 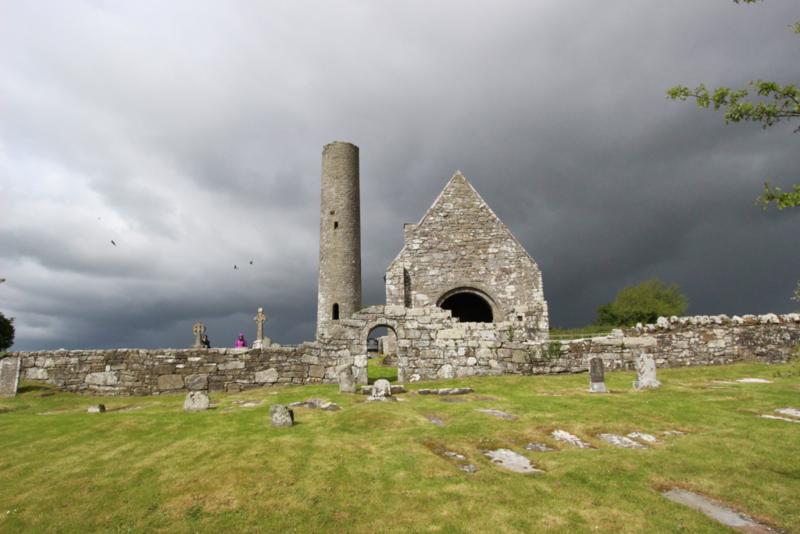 With every visit, Cashel is different, yet the same. Every departure from Cashel is painful and every return natural, as if there is a small presence that welcomes only me. 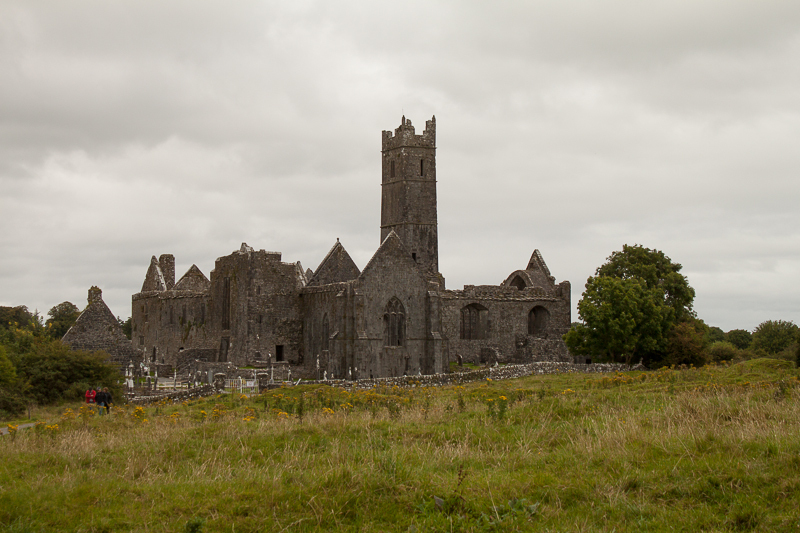 Cashel is a very thin place, yet it is only one of hundreds that lay in the cradle of Western Europe. 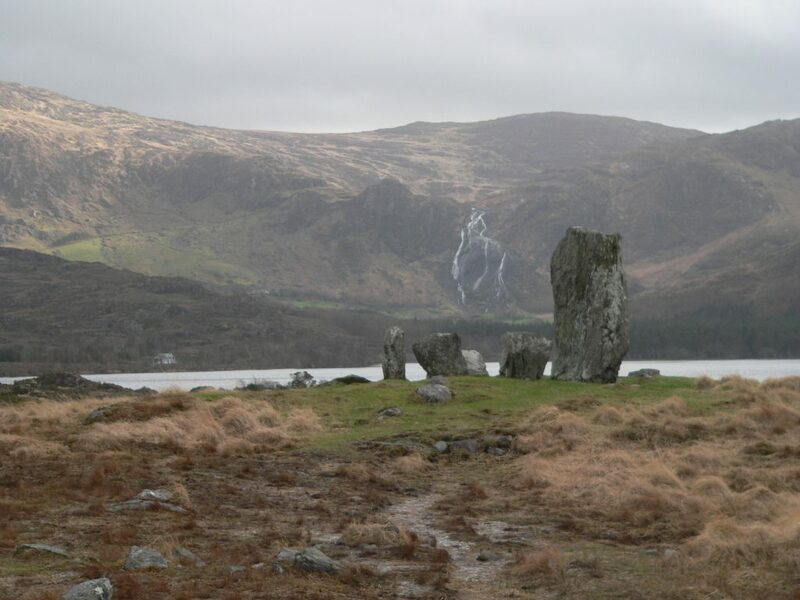 Over the last dozen years or so I’ve found others like Cashel, places where I belong more strongly than others – Whitepark Bay in Antrim, Doolough in Connemara, Cashelkeelty Stone Circle in Cork, Kilshannig in Dingle, Boa Island in Fermanagh. All these places have a connection for me.